5 Factors To Consider Before You Roll Over Your 401(k) To An IRA - Can I Retire Yet? During my working years, I invested regularly into my 401(k). I chose to use my 401(k) to take advantage of the considerable tax benefits available to an early retiree. This consistent saving, combined with an incredible bull market over the last decade of my career, left me with a substantial balance in my 401(k) when I left in December. One of the first things that I did upon leaving was figure out what to do with these investments. When leaving an employer, you can leave your investments in your 401(k) or you have the option to roll over the funds to an IRA with the brokerage firm of your choice. The overwhelming majority of money pouring into IRA accounts is from rollovers from employer-sponsored retirement plans. This is an area of intense competition among brokerages that desperately want this money under their control, allowing them to charge asset based management fees. I strongly recommend reading the FINRA Investor Alerts on this topic to help make an informed decision before rolling over any money. Either decision could be the correct choice for you. I will walk you through my decision process and share five key factors that can be important when you make this decision for yourself. For simplicity, I will use the terminology 401(k) throughout this article, but most aspects of this decision making process would apply to any work-sponsored retirement accounts including a 403(b), SIMPLE IRA, etc. There is one exception to this rule that will be explained. The first thing that I looked at were the fees on my 401(k). I then compared them to the fees I would be paying if I transferred the accounts to an IRA. It is vital to be meticulous when assessing all of the fees before making a decision. Fees can be difficult to decipher, buried in the mountains of prospectuses and disclosures that accompany most mutual funds and retirement plans. 73% was in the Vanguard 500 Index Fund (VFIAX). Its expense ratio is .04%. 9.5% was allocated to the Vanguard Small Cap Index Fund (VSMAX). Its expense ratio is .06%. 17.5 % was in The Federated Total Return Bond Fund (FTRKX). Its expense ratio is .48%. My aggregate expense ratio was .12%. This means that for every $100,000 in my portfolio, my annual fees would be $120. If the fees stopped there, I would consider this reasonable. However, the fees didn’t stop. The entire 401(k) portfolio was subject to an additional .48% annual fee levied by the plan to cover administrative fees. This amounts to an additional $480 in annual fees for every $100,000 invested. Considering the sum of the fees, my total expense ratio was .60% or $600 for every $100,000 invested. Compare this to the annual expenses of my portfolio invested at Vanguard, which has a cumulative expense ratio around .1%, or $100 for every $100,000 invested. These seemingly small percentage differences make a massive difference on a sizable portfolio. The rollover option thus saves me thousands of dollars each year, which compounds over time. One potential problem with 401(k) plans is that your investment options are limited to the choices provided by the plan. On the flip side, some large company and government plans can use the economy of scale to provide superior investments than retail investors can get on their own. One example of the latter would include plans that offer ultra-low cost Vanguard Institutional Shares. Another would be the Thrift Savings Plan offered to many government employees. It is important to fully understand your options. The investment options offered in my 401(k) were not ideal fits for my portfolio. I used the VFINX as a proxy for my preferred core US equity fund, VTSAX. These funds carry the same expense ratio, and returns are highly correlated. I was happy with this option, realizing that it is a coin flip which fund will perform better over any period of time. The Vanguard Small Cap Index served as a proxy to my preferred fund, the Vanguard Small Cap Value Index (VSIAX). I prefer to hold the small cap value fund, given its superior historical returns. Fund expenses were essentially the same. I was eager to switch the bond portion of my portfolio. Federated Total Return Bond Fund served as a proxy for my preferred core bond fund, the Vanguard Total Bond Market Index Fund (VBTLX). The Vanguard fund is composed primarily of US government bonds with some high grade corporate bonds. The Federated option consisted of lower quality, higher risk bonds that do not meet the purpose of bonds in my portfolio as well. The Federated option (expense ratio = .48%) cost nearly 10 times the Vanguard fund ( expense ratio = .05%). The limited investment options at higher costs than what I had available on my own was a second factor pushing me towards rolling over my 401(k) to an IRA. One of the biggest positives of doing a 401(k) rollover is the ability to consolidate accounts. I crave simplicity in my finances and appreciate the ability to have all my investments in one place. This decreases the number of funds I hold, allows me to more easily visualize the big picture, and makes performing maintenance tasks such as rebalancing easier. There are other benefits to aggregating your accounts. For example, Vanguard offers greater levels of benefits to clients with higher account balances. Most brokerages have similar features to attract additional investments under their management. However, aggregating your accounts under one roof comes with potential downside. Having all or most of your investments in one place can put us at increased risk in a digital world. Threats range from hackers to computer glitches. I personally put more value on increased simplicity over the potential risks associated with aggregating investments. However, it is difficult to quantify these benefits and risks, so how this affects your decision will largely come down to personal preference and opinion. Some rules regulating work-sponsored retirement accounts are different than those that govern IRAs. One key difference is that you can begin withdrawals from a 401(k) at age 55 without penalty. IRA distributions can not begin until age 59 ½. Early withdrawals from either type of tax-deferred retirement account are subject to a 10% penalty, in addition to being taxed at regular income tax rates. In my case, I am only 41 and have substantial taxable investments to bridge the gap to traditional retirement age. I expect to have some ongoing income in retirement. In addition, I anticipate having some years with very low income, allowing me to utilize Roth IRA conversions, providing access to a portion of this money prior to traditional retirement age. These factors made the age related benefit of the 401(k) of minimal importance in my decision. However, this can be a substantial reason to not roll over a 401(k) for some people. Another distinct advantage of not rolling over a 401(k) account to an IRA is superior protection of your assets from lawsuits. 401(k) plans (as well as deferred compensation plans and profit sharing plans) are ERISA qualified retirement plans. Traditional IRA, Roth IRA, and some work sponsored plans including including some SIMPLE IRA and 403(b) accounts are non-ERISA qualified retirement plans. Non-ERISA qualified plans are protected by state laws which vary widely. Bankruptcy laws also differentiate between the types of retirement accounts. All retirement accounts are given some protection against seizure in bankruptcy proceedings. However, non-ERISA qualified plans have exemptions above certain amounts that ERISA qualified plans do not. There are some asset protection benefits to staying in a work sponsored retirement plan, particularly if it is an ERISA qualified plan. They are beyond my scope of expertise. If asset protection from lawsuits or bankruptcy is a significant concern, then you should consult with a qualified attorney to get more detail on these topics as they apply to your personal situation. I am not an attorney and don’t want to play one on the internet. Given the different legal treatment of different types of retirement accounts, I was curious if there was a similar corollary with the way different types of retirement accounts are considered when applying for financial aid for college. I reached out to Brad Baldridge of Taming the High Cost of College to ask this question. He summarized the process very succinctly. When applying for college aid, there are assets that count against the amount of aid your child can receive. They include bank accounts, taxable investments, and 529 accounts. There are other assets that do not factor into the amount of aid your child can receive. Assets held in retirement accounts fall into this second category. They do not factor into financial aid calculations. Therefore, there is benefit to utilizing retirement accounts over taxable accounts with regards to student aid you are eligible to receive. However, all retirement accounts are treated the same for aid purposes, so this does not need to be factored into your rollover decision. When I considered my decision, a few factors clearly stood out above the others. Being able to substantially reduce my costs, align my investments more closely with my objectives, and simplify my portfolio led me to choose rolling over my 401(k) to an IRA. The one thing that gave me pause was the superior asset protection offered by keeping my money in a 401(k). However, when I looked at things objectively, the guaranteed benefits of rolling over my investments to an IRA outweighed the potential benefits of staying in my 401(k). Hopefully, this analysis will give you a framework for making the best decision when applied to your individual situation. There is no one size fits all answer to whether you should stay in your 401(k) or elect to roll it over to an IRA when retiring or changing jobs. Great rundown of factors related to a rollover. The only thing I would add is if you tend to do backdoor Roth conversions each year, there would be a tax consideration if your money is in a rollover IRA with pretax dollars vs a 401k due to the pro rata rules. That said, the benefits you outline (fees, investment options, consolidation of accounts etc) are often still more worthwhile, especially over the long run. But in certain situations, it might be worth waiting until a new calendar year to do the rollover so you could have one more year to do a backdoor Roth without tax. I never had a high enough income after maxing out 401(k) to need to do backdoor Roth and our plans didn’t allow mega-backdoor so I honestly didn’t think about implications for a rollover. Thanks for contributing to the conversation. Great breakdown of the options an considerations Chris. Looks like you made the right choice for your situation but you brought up some not-often discussed things to consider. Agree that I think my situation had a pretty clear “right” answer, but may not be the same best answer for others. I think for most people with the TSP, the option to stay in it is probably better. I retired from federal service three months ago. I elected to leave 50% in the TSP G fund and take monthly withdrawals from there. The other 50% was rolled to IRA at Schwab with very similar expense ratios. As I am still in the TSP, I can rebalance and move funds back to it whenever necessary. To me this is the best of both worlds. Agree, it sounds like you have some nice options. I unfortunately did not, which on the positive side made my decision pretty easy. If you left your previous employer prior to the year, you reached age 55 (age 50 for public safety employees as defined by the IRS), but now you are over 55, sorry, the special age 55 withdrawal provision does not apply. Any withdrawals you take will be subject to the penalty tax unless you can roll your 401(k) plan to an IRA and qualify for an exception to the penalty. I found that doing a partial rollover worked best for me – unless your 401k plan says otherwise, you should be able to roll over only a portion of it. I turned 55 the year I left work, so I took advantage of the no-penalty withdrawal option from the 401k for several years after leaving work (if I’d put it in an IRA, I would have been penalized, not yet being 59 1/2). The majority of it was rolled over into an IRA, because my Vanguard IRA fees are much less (and investment choices much greater) than my 401k was charging, but I left enough to make periodic (1 or 2 a year) withdrawals to cover living expenses not covered by taxable assets until reaching the 59.5 year point. That is a great idea, for those in a similar situation to your own. Thanks for sharing. I was not aware of the asset protection advantage of the employee sponsored programs you mentioned, so thanks for the education there. I wanted to mention another option in regard to the Age Related concerns and withdrawal from an IRA. IRS Rule 72(t). This rule made it a lot easier for me to make the decision to max out our 401K plans. The down side, of course, is the withdrawal amount can’t change and must occur over the span of five years or until the recipient reaches 59½, whichever time period is longer. I wonder if this played into your decision as well? To answer your question first, it did not factor into my specific decision. However, you do make a good point that there are ways to access money from retirement accounts without paying early withdrawal penalties on the money. I really didn’t want to go down too many different roads in the post. It is always a challenge to be concise and useful to the greatest number of readers when writing these types of post, while at the same time it is important to be aware of small details as you and some others above you point out. Thanks for contributing to the conversation in the comments. Hi im from the UK so we have different options. What my concern is you only have 17.5% of your portfolio in BONDS. Im 29 months away from work being a choice, What happens if the stock market fell drastically and took 10 years to recover? i plan on 3-4 years of ‘cash’ to live off in such a senario but ive spoke to some people lately and they told me it took 10 years to break even again. whats the best way around this? anyone? So I kind of have two different answers. First, the allocation of my 401(k) is not the same as my overall allocation. I linked to that in the post, under #2. Investment Options. In my 401(k), I chose from the best options available to me while making these assets fit into my larger portfolio which also includes international stocks, TIPS and REITS, which either were not available or were available and even more expensive or less ideal than the options I chose in my 401(k). As to what I think was the crux of your question, we actually have even slightly less in bonds in our overall allocation, currently 15%. We do also keep about a year of living expenses in cash. I agree that this makes me nervous given historically high stock valuations. However, our portfolio is a part of our bigger overall financial plan, which includes having some earned income in the form of my wife’s part-time work and my retirement business ventures. Therefore we are managing this volatility risk by planning to draw very little from our portfolio even in these early years of my retirement. Also, I think it is important to realize that volatility is only one type of risk. Bonds also are not w/o risk as they currently have very low yields, which are almost certain to not meet our spending needs + inflation. Bonds also have volatility risk as bond prices can drop as yields increase, meaning you may need to sell bonds at decreased prices. Just something to consider. It took me a little less than 7 years to get back to my original balance after the 07/08 crash. When I retired seven years ago I rolled over my 401k almost immediately. At the time it contained pre-tax contributions, after-tax contributions and Roth contributions. One benefit that you didn’t mention (and I wasn’t expecting): I had made those after-tax contributions to the 401k in the years before my company offered a Roth 401k. When these funds were rolled over they went directly to my Roth IRA rather than showing up as basis in my conventional IRA. I’m not sure I understand how that happened when you rolled over your accounts. Generally you would roll a tax deferred 401(k) to a tax deferred IRA and a Roth 401(k) to a Roth IRA. Not sure quite how you got that extra money into your Roth without paying taxes unless it was a mistake or a quirk in the law that I am not aware of. Welcome! I’ve read many of your posts since you began contributing to “CanIRetireYet.” Keep up the good work. 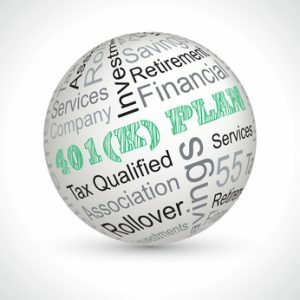 Regarding 401k roll overs, after tax contributions to a 401k can be rolled over (tax free) to a Roth IRA, as long as the 401k plan description allows it. I’ve done this several times. Folks just need to check with their 401k administrator & read the Plan Description for themselves; then it’s easy peasy. On a separate note, my understanding is that Roth 401k contributions can be directly rolled over to a Roth IRA as a non-taxable event (since taxes have already been paid). And, since Roth 401Ks ARE subject to RMDs but, Roth IRAs are NOT, the $$$ rolled over is now not subject to RMDs. It’s like magic! Can you or Darrow pls confirm if I understand this correctly? Thx. Regarding your first point, you are correct. The key is that the plan has to allow for this and not all do. Regarding your second point the Roth 401(k) to Roth IRA is correct b/c taxes were already paid on the money before the Roth 401(k) contribution. I don’t know if there is any magic here, but there are certainly many different rules that regulate these different accounts as I learned when doing my research. Some key ones are the age restrictions as noted in the article and the fact that you can avoid RMD’s from a 401(k) if you’re still working for the company with the 401(k) beyond age 70.5. It definitely is worth your while to look into specific rules of the specific accounts you hold as the rules are not simple and uniform across accounts which can create some opportunities for creative planning for those willing to learn the rules. Given all that you have laid out here, I’m curious why you did not open a personal investor account at Vanguard or Fidelity earlier. I can see contributing enough to qualify for any available matching, and then maybe going back after maxing the IRA contribution limit depending on how bad the fees are. Employer sponsored plans notoriously have a mediocre range of offerings and high expense ratios overall. I have been urging my coworkers, mostly in their 20s and early 30s, to bypass our non-matching employer sponsored plan and opt instead for a biweekly transfer to a personal account until they max that out. I also think it is important that they understand that they will not have the option to move any investments from that plan to a rollover account at a low cost brokerage until they leave the company. If there is good evidence that my line of thinking is wrong I’d love to hear it so that can avoid giving bad advice. I recently bought an umbrella policy to increase insurance coverage to make up for the lack of asset protection for my personal IRA accounts. The asset protection aspect to the decision to convert is dependent on STATE laws as that is what applies to IRAs as opposed to the FEDERAL rules on 401k, etc. Here in CT, IRAs are as protected as 401k from liability exposure. YMMV. YMMV is right, which is why I left that vague and encouraged readers to do their homework. In some states there is little difference between a 401(k) and an IRA, while in others the 401(k) gives much more protection of assets. Excellent article. I chose to take RMD’s from met Rollover IRA prior to age 70 as a tax saving strategy. I am in a low tax bracket and so each year I calculate my taxable income and then calculate the amount of income deficit before I would hit the next tax bracket and then take that amount from my Rollover IRA and then deposit that same amount into my Roth IRA. I want to leverage my lower tax bracket for all I can; as when I do begin taking full RMD’s at age 70 the amount will raise my taxable income to the higher tax bracket. I think I get what your saying, but want to clarify. You are taking distributions prior to having to take RMD’s? Otherwise, what you’re saying makes perfect sense to me. I’m pretty certain you are using the strategy I describe in my response to Abe a couple of comments above. One way to protect the assets rolled over from a 401(k) to an IRA is to buy umbrella coverage to your home or car insurance. Usually a million dollars of insurance can purchased for a few hundred dollars, much less than you will likely pay in fees, not to mention the other advantages of more choice and consolidation. Excellent point Mark and exactly the strategy we are employing. It seems to me to make a lot more sense to buy a million dollars of coverage for a few hundred dollars as opposed to paying, as I point out in the post, an extra $500 dollars for every $100k in the 401(k) in fees compared to our fees at Vanguard to have the legal protection. I agree Markola and all things being equal I think it is better to stay in the 401(k) for people in many states. However, all things are often not equal and as my example showed the fees to stay in a 401(k) can be substantial. See comment above by Mark, there are alternate ways to protect your assets aside from keeping money parked in a less than ideal 401(k). Yes, no question about it. We do have $2M in umbrella liability coverage and it costs us $38/month! We are fortunate to also have Vanguard and TSP choices at work and plan to move our IRA assets to our work plans, which also give us the option to FIRE at 55. I realize that is not the case for everyone, unfortunately. It would certainly be a lot simpler to have one uniform set of rules, but that is not the case and it opens opportunities for strategies like you are using for those willing to take the time to learn the rules and use them wisely. I think the TSP just isn’t the super deal it was 30 years ago. While it used to be the best thing going, Vanguard now has matched the lower fees. Additionally, the TSP was a great savings vehicle for me, but has very limited options to get your money out. Even with the new law to increase withdraw flexibility the TSP has 2 years to implement it and it will still likely be a difficult and slow process. Also for those of us who like to live off dividends, TSP doesn’t pay outright dividends as they are automatically included in the share price. I will be transferring most of my funds to Vanguard and leaving just enough in TSP to transfer back in should things change. As an early retiree, I have learned that financial flexibility and optimizing your funds are key to making it work well. Moving from a 401k to an IRA gives you that needed flexibility. Thanks for the great article. Thanks for the input Ed. I have never had access to TSP, but everything I have ever read about it has been positive. Sounds like something I may have to look into. What are the issues with getting your money out? I assume you mean getting early access to it? As for the dividends, in a tax advantaged account it really doesn’t matter if a fund or company pays dividends or rolls them into the share price for tax consequences as you will eventually pay taxes on WDs at ordinary income tax rates. I guess if you like to see the dividends, or just spend them w/o touching principle, that could be unappealing though. Another consideration is the withdrawal options for a non spouse beneficiary. With a TSP, your spouse can inherit and put in his/her name, but when the spouse dies, children must take a lump sum rather than RMD’s based on their ages. Many little differences between the different retirement account types, TSP, etc that can have big implications for an individual. Thanks for sharing your insights and contributing to the conversation. Rolling over the 401(k) to an IRA also provides a slight simplification when it comes to RMD’s. You are allowed to aggregate your IRA RMD’s and withdraw them from any of your IRA accounts. If you also have a 401(k), you must take a separate RMD from it. Another factor for my wife and I to consider is backdoor Roth IRA contribution because our income is over the limit to contribute directly. If we were to roll over our 401K to traditional IRA, we would need to convert a portion of that to Roth IRA as part of our backdoor Roth contribution and put us in much higher tax bracket that we need to pay taxes on immediately. Someone else mentioned this above. I didn’t think about that point as our income is low enough that it allows us to make regular Roth IRA contributions. You may have to be careful what year you do the rollover or forgo the backdoor Roth in that year. Unfortunately, nothing is simple in tax law. Thanks Chris for the interesting post. Like several others that commented, I have money in Vanguard, traditional and ROTH IRA and about an equal amount of funds in TSP. If you ever need subject matter for another post, I’d very much like to see an article the pros and cons of Vanguard versus TSP. Thanks for the comment Don. There is definitely a lot of interest in TSP amongst readers and it sounds like something I will have to look further into. I am definitely not an expert at this point. I don’t know whether this is common or not, but my 401k does not allow withdrawals from a specific fund. Rather, they take a withdrawal from across the funds that my 401k account is invested in. I am strongly considering rolling my 401k to an IRA so I can selectively harvest from a fund that is doing well. I agree that I would not like that lack of control in how and where you take your money. One of the big downsides of 401(k) as I noted is the lack of control over your investment options. Often, we just have to swallow hard and accept less than ideal investment options to get the tax benefits of the contribution, and then get out of the plans ASAP when leaving a job. Great post. I recently moved my 401k into an IRA after my previous employer shut down. The money is sitting as cash as I am afraid to invest it. Yes, there is record stock market growth, but that’s what scares me. I remember 2007 when I went all in and watched my money drop so much, I sold the last minute before the government bailout, losing 95% of my money. Since then, I have been totally risk adverse. This year, I want to work on getting over that fear and start investing again. Moving my 401k to an IRA is in my future, but not as early as some of my colleagues. I am still using a backdoor Roth IRA every year and if I moved my work account assets into a traditional IRA, it would totally mess up my conversion calculations. I will do this when I stop working, but not as long as the backdoor is open. Definitely something to think about as several above you have pointed out. My income was never high enough to worry about it and so I honestly never thought about it. Thanks for contributing the valuable tip. One reason not to roll is if your plan has a fixed income account. Any safe money can sit and earn a few % with no risk. Money markets don’t pay anything and anything else from a bond standpoint is more risk. Fixed income account was not an option to me and I honestly never considered it. It may be a factor worth looking into if you have a good option within your 401(k).